I just pre-ordered Trails of Cold Steel II: Relentless Edition today, and I couldn’t be more excited to play the game again. It also reminded me that I neglected to write a full-fledged review like I had intended to do after beating Cold Steel II. Many mistakes have been made. So to celebrate the occasion, I thought I’d take the time to appreciate some of my favorite moments between Trails of Cold Steel and Trails of Cold Steel II and spread the love for these great games. Warning: I have a lot to say about these moments, so there are quite a number of spoilers for how Trails of Cold Steel and Trails of Cold Steel II progress. If that doesn’t bother you, or if you’ve already played them and know what to expect, then continue and enjoy! Trails of Cold Steel is a little unusually paced in spots, but I feel that the Prologue does a great job of setting up the more political, story and character-driven moments of the game. In a lot of ways, Cold Steel feels similar to the Persona series, where you’re in school, hanging out with friends, and trying to balance the mayhem in between. And had the game not started with this action-packed prologue, I could see how people could get the wrong idea about what these games are really about at their core. These games place heavy emphasis on the world-building, politics, and the unfairness of class systems among people of Erebonia, and the game takes its time to unearth those qualities. If the game had started with Rean arriving at Thors, the slower pace could have been a turn-off for people wanting something more nuanced. Fortunately, the prologue is exciting and attention grabbing, accompanied with great music and a cliffhanger that left me looking forward to the political intrigue that would inevitably come to the foreground later. The last few hours of Cold Steel II are great. The finale is built up pretty early on all while adding to the lore. The big takeaway from the final fight is the showdown between Rean and Crow before they ultimately join forces to combat a more sinister force. It ends with an emotional death that made me genuinely surprised at such a bold move. Not only that, but the ending twist even calls into question many of the actions of the so-called villains, as well as who the enemy really is in light of this tragedy. There was a lot going on, but the final scenes take their time to unfold, and I appreciated that every new bit of information and every scene was allowed to really sink in. The epilogue is quite good as well, but between the final dungeon’s incredible music (as well as my favorite recurring theme, Blue Destination) and the emotional beats of the story, it’s Cold Steel II‘s finale that cemented it as one of my favorites. Picking up right where Cold Steel left off, Cold Steel II begins with Rean remembering his friends and how they supported him, serving as a nice recap of the first game while showcasing how alone and angry he feels. Waking up alone in the mountains, Rean’s realization that it’s been a month since Trista fell is a hard scene to watch, and his anger at Celine and his situation is completely justified. It gave Rean some much needed development and shows different sides of his personality, and I greatly welcomed this shift from a goody-two shoes into a more conflicted and complex individual. The opening scenes were simple but effective, and it made me really excited to see where the game would go. One last thing: the title screen, the first time you load the game, has Rean lying alone in the snow, and that single image made me realize “Oh my god, we really are on our own now!” Cold Steel II continuously throws Rean in hopeless, depressing situations, and the beginning of the game was the perfect way to convey that there would be no more fun festivals and concerts (which I always thought the investment was odd, but we’ll get to that). What I didn’t expect was to have the entire ending turned on its head, with a full on fight for the school following complete chaos in Heimdallr due to the execution of the Chancellor. The game ends on a complete cliffhanger with the school falling into the clutches of the enemy, and with Rean being sent to safety while the rest of Class VII puts up one final stand to buy him time. While I absolutely love Trails of Cold Steel II and without a doubt believe it’s the better game, the finale of Cold Steel definitely plays a part in why I feel that way. Trails of Cold Steel creates the foundation for everything else to come, and had I not played it first and instead jumped right into Cold Steel II, I’m not sure that it would still resonate with me in the same way. My number one favorite moment in the Trails games encompasses why I love good video game sequels. The first game in a series always has the difficult challenge of establishing the world, story, and characters in a believable way, and it can often become confined in what it can show. If a video game sequel is done right, than it is able to explore these ideas and become less constricted. Trails of Cold Steel II does this amazingly well with all of its characters (Laura being more than just a strong, poised sword-swinging girl, Jusis acting on his resolve to guide and protect the people of his hometown), and, most importantly, with Rean. I’ve talked about Rean before in my thoughts of the first 20 hours of the game, and they came true. Rean is more than he’s presented to be, and despite all of his motivational speeches and compassion towards his classmates, he feels like he’s a failure and undeserving of their support. 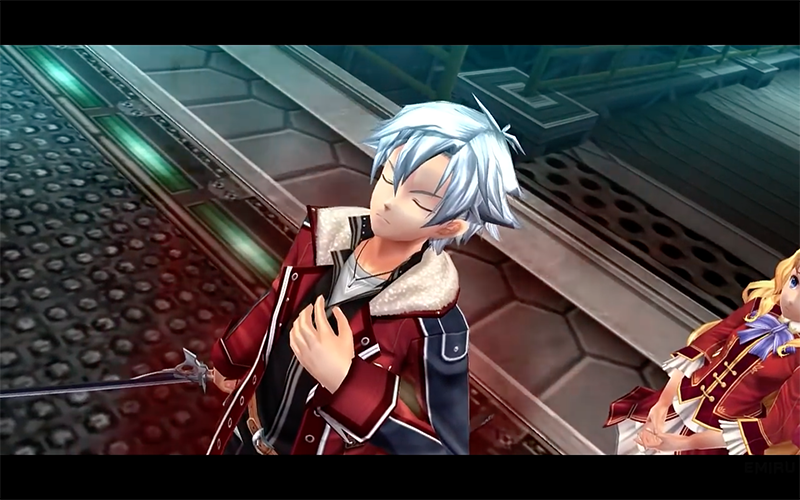 After a well-written scene with Alfin, Rean overcomes his fear of his demon powers and makes them his own. Anyone who has followed my blogs before knows how much I value character development, and the character development in this escape sequence is responsible for why I adore this moment so much. The emphasis on the characters is part of what would make an otherwise standard or obvious escape mission far more exciting and meaningful for me. I could talk more about all of the epicness that unfolds, but that could turn into a whole blog post of its own plus this is already running long and I’d rather not spoil the whole thing. It’s something that should be experienced. Also, I would be remiss if I didn’t mention the fantastic music. 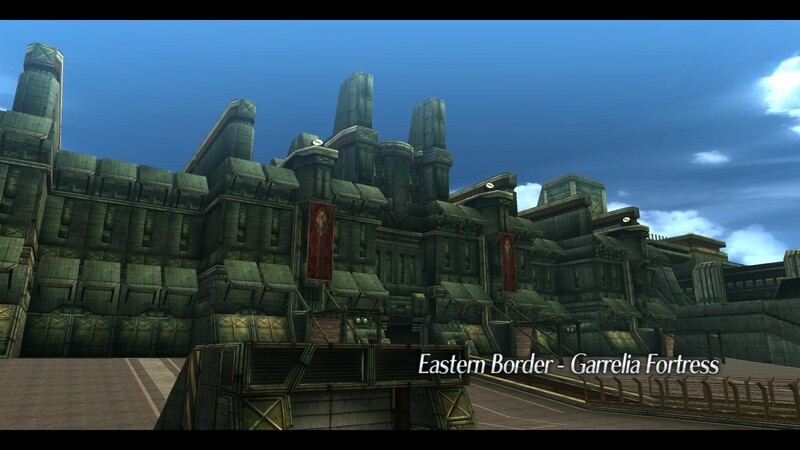 As I mentioned before, Blue Destination is a recurring theme that plays during pivotal moments throughout Cold Steel II (check out Chris’ post about Blue Destination here to discover why it’s so great), and you could basically say it’s Rean’s theme song. It plays throughout this entire escape sequence as well, and every time I watch the scene when he’s running in his ogre form with Alfin in his arms…I get chills and want to replay the game again, it’s so good. This list was actually fairly difficult to finalize because these games are full of so many great moments. Whether it’s the localization of the dialogue or strong story beats, the Trails games have so much to offer, and this list barely scratches the surface. I really wish they weren’t so underrated. I’d like to think that’s been getting better over the years, with the fanbase expanding and bringing attention to the games, but it’s a slow-going process. Plus, with the recent additions of more voice acting in the PC versions and the Relentless Edition on PS4, I’m optimistic that more people will find and appreciate these games (because if we don’t get a localization announcement for Cold Steel III and Cold Steel IV next year, I am going to strangle something). Here’s hoping that the next two installments are just as good as the first ones! I can’t wait to see where the story goes from here. Thank you for reading!